Heart. Sound. Soul. Movement. Rest. Community. Yoga! A sensual experience of all our favorite things woven together. After discovering a thirst for yoga during college, Colin pursued her yoga practice academically, spiritually and physically. Inspired by the power of yoga to heal the body, quiet the mind and cultivate the spirit Colin became an instructor in order to share the joy of yoga with others. She continues to follow her yoga path both as a student and a teacher. 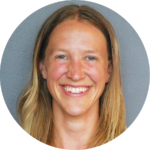 As an instructor she blends traditions from classical hatha, power vinyasa and hot yoga to create a fun and challenging atmosphere. Colin teaches with a confident and nurturing air. 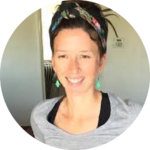 Her objective is to explore the union of mind, body and spirit, encouraging her students to discover their own yoga practice. In Colin’s classes, you’ll use the breath as a tool to invite space and light into the body, suspending the mind in the present moment and opening the heart in a warm, welcoming environment. Yoga softened my heart and made it tiger strong at the same time, allowing my life to take shape in a way that feels aligned with my true nature. Since I began my yoga practice, I’ve felt my senses heighten, breath deepen, and as though a veil was lifted from me, the world took on a vibrancy words cannot describe. Yoga has opened my eyes to the sacred, the teacher and teachings that course in and through all things, including my demons. Yoga has brought me to places that were not always easy to move through or confront but my mat served as a safe place to do the work and the play. Through practice, I have found deep healing and connection with friends, family, strangers and myself. I am forever humbled and inspired by the continues adventure of self-inquiry and reflection that is Yoga. Yoga has brought light to my life; I am grateful for its teachings, my teachers and for those who give me the honor of sharing space by stepping into my yoga class. Andrew Killough was drawn to music early in his childhood. 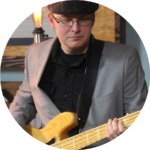 Growing up in Pennsylvania, he learned piano and guitar and enjoyed playing in a folk trio. As a student at Bucknell University, Andrew discovered synthesizers and drum machines and formed “Falloon“ to explore his passion for electronic indie rock. After completing his degree in environmental studies, Andrew packed up his car and moved to Oregon. Shortly after the move, he joined LDW, a Talking Heads tribute and began hosting “The Psychedelic Mystery Hour” on KFFP Freeform Portland 90.3 FM. 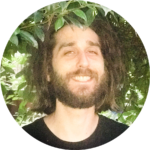 As our keyboardist, Andrew enjoys creating sound that compliments the practice of yoga and helps students release and surrender to the powerful, loving, healing energy cultivated during the Ham Yam & The Hims experience. 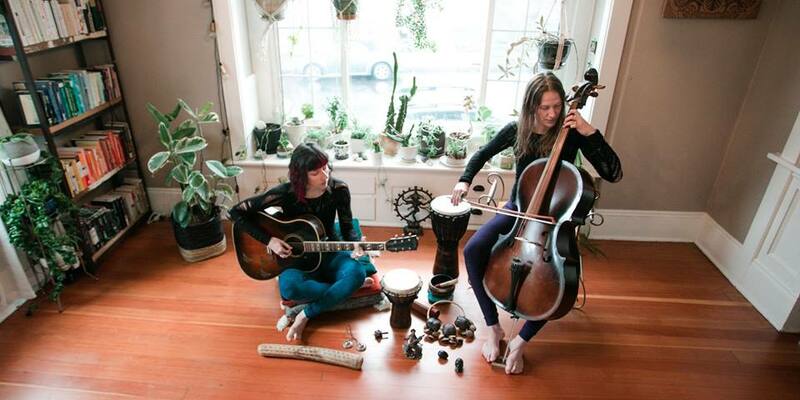 Join Colin and Emily for a mindful retreat of nurturing growth through yoga, essential oils, prasad (nourishment), music, nature, community, connection, mantra, play, meditation and rest at Peaceful Heart Retreat in Hood River, OR. Enjoy yoga classes and workshops each day, vegan meals and ample time for exploration, play, meditation and rest. We have a Winter Retreat scheduled for Friday January 18-Monday January 21 at Peaceful Heart Retreat in Hood River, OR. If you are interested in joining future retreats, please fill out the contact form below for more information.